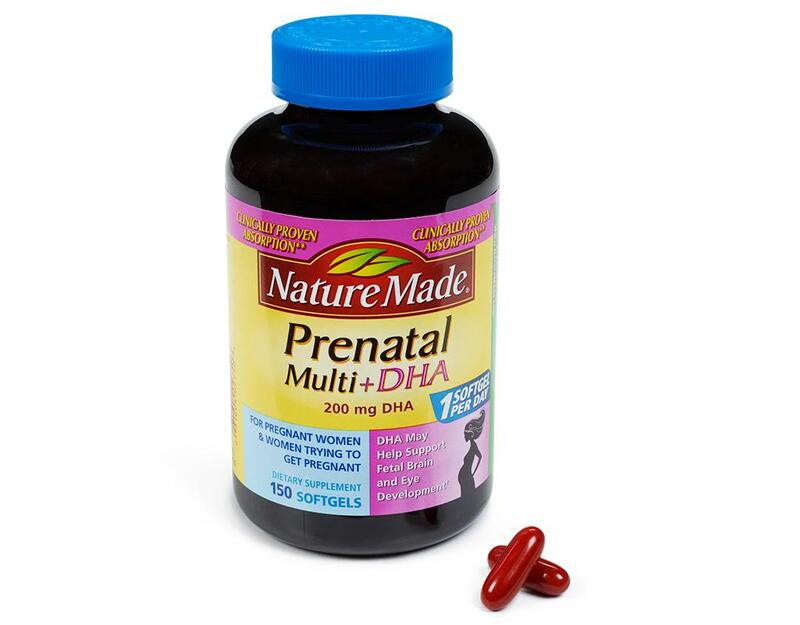 Nature Made Prenatal plus DHA Liquid SoftGel is ideal for expecting and nursing moms who are looking for a prenatal supplement that includes DHA and requires only one dose per day. 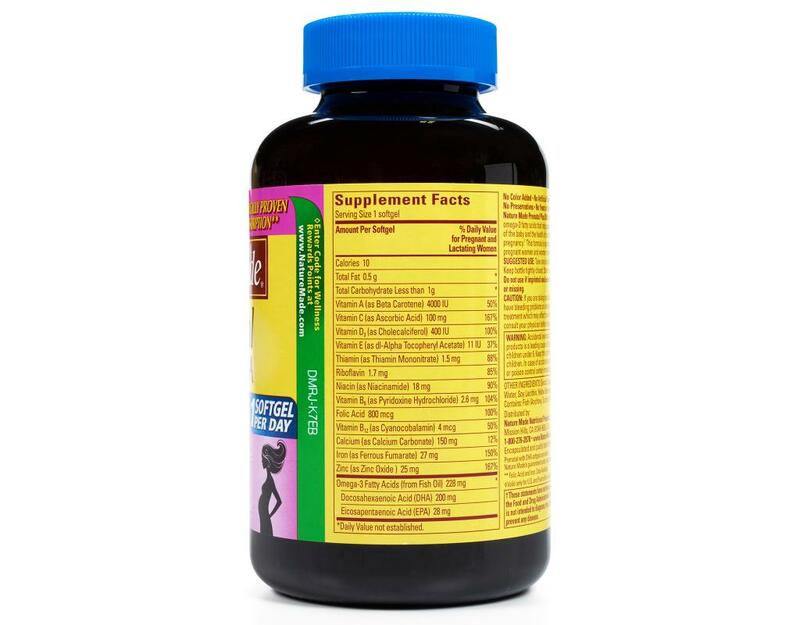 Supplementing with a prenatal multi-vitamin during your pregnancy is important to help support a healthy pregnancy and the baby’s development. Key nutrients such as DHA, Folic Acid, and Iron are essential nutrients in your prenatal supplement. 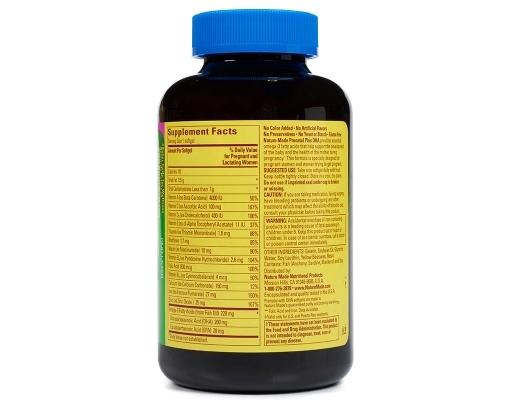 DHA plays a crucial role in fetal brain and eye development because DHA is directly transferred from the mother to the fetus during these developmental stages. Folic acid may reduce a woman’s risk of having a child with a brain or spinal cord birth defect and the body’s need for iron nearly doubles during pregnancy. 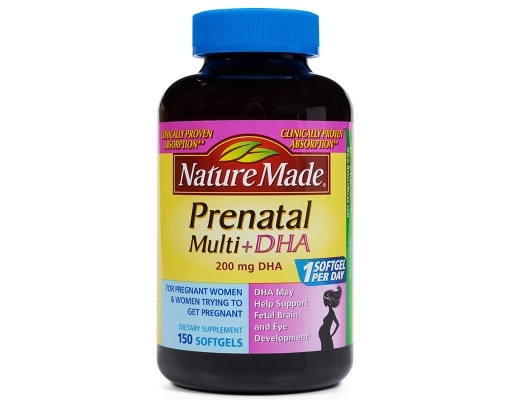 Nature Made Prenatal plus DHA Liquid SoftGel combines all of the key nutrients from a prenatal multivitamin with 200 mg DHA into one softgel. 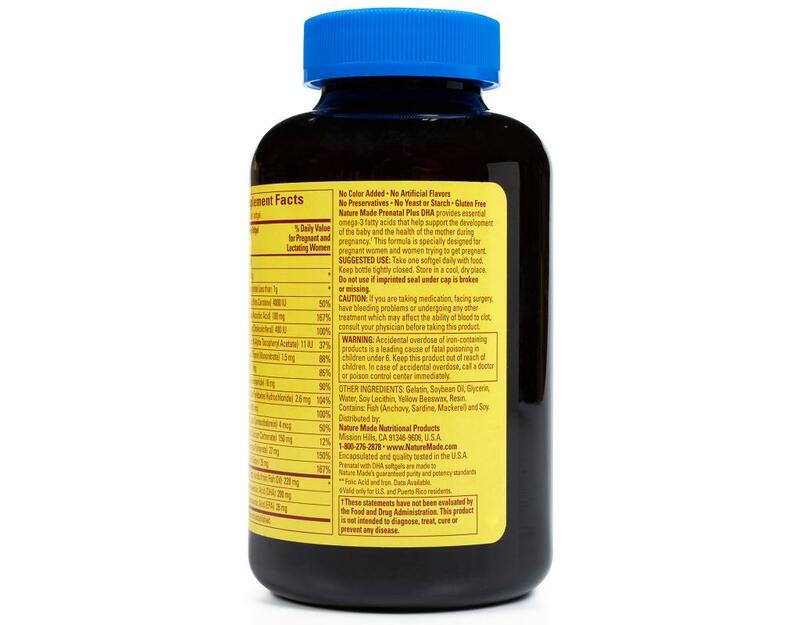 Prenatal Multi+DHA contains no synthetic dyes. 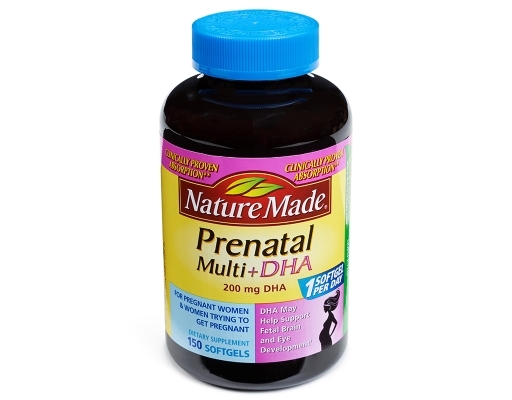 Nature Made Prenatal DHA Liquid SoftGel is guaranteed to meet the highest quality standards – it is made from carefully selected ingredients under strict manufacturing processes.